As an alternative to litigation, the process of mediation can help parties in a lawsuit evaluate the issues and come to a settlement. This can be an efficient process to help resolve disputes. The key component of mediation is that if an agreement is reached, the terms of agreement are determined by the parties themselves rather than being imposed by a third party. A neutral mediator assists the parties in reaching a voluntary, negotiated agreement. Mediators use a variety of techniques and/or skills to open and/or improve dialogue between the disputants, with the purpose of reaching an agreement regarding the disputed matter. By participating in this process, the parties do not agree that they will actually settle the dispute, and the mediator does not have the authority to impose such a settlement. The mediation process may be terminated at any time without cause by either party. Another advantage of mediation is confidentiality. With very few exceptions, what is said during mediation cannot legally be revealed outside the mediation proceedings or used later in a court of law. By contrast, one of the drawbacks of going to court is that, by and large, everything said or submitted in connection with a lawsuit becomes available to the public. The use of mediation has increased as a means to resolving many types of claims, and during the past several years, this process has become one of the most widely used methods of arriving at a reasonable compromise settlement. This process may be especially beneficial in cases which are expensive and difficult to litigate to a jury verdict. 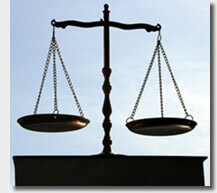 When approached effectively, it ends the claim or litigation without any further costs to the client. If it fails, the parties proceed through the regular procedures of litigation and jury trial without any penalties.